Please join us at LivingACourseinMiracles.com Get access to past Living A Course in Miracles classes. Join our free weekly A Course in Miracles Group Study, facilitated by Jennifer Hadley. Our group started in May of 2007 ~ ACIM Students from all over who have a deep desire to discuss and understand the Course. Facilitated by Jennifer Hadley, we have an open discussion that anyone can join in on. We apply the teachings of A Course In Miracles to our every day experiences and we learn and grow together as a loving and powerful virtual spiritual community. Jennifer Hadley is a fully licensed Spiritual Therapist and Minister. Her license and training is from the Agape International Spiritual Center – a powerful transdenominational spiritual community founded by Rev. Dr. Michael Beckwith, well known for his appearances in THE SECRET and on OPRAH. 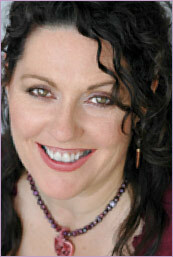 Jennifer was licensed by the Agape International Spiritual Center as a Science of Mind Practitioner in 2000. She graduated as a Minister in 2006 from the Agape International Spiritual Center’s Ministerial Program. She has been a student of Michael Beckwith’s since 1994 when she first joined the Agape International Spiritual Center community. Jennifer is available for counseling by appointment in person or on the phone.